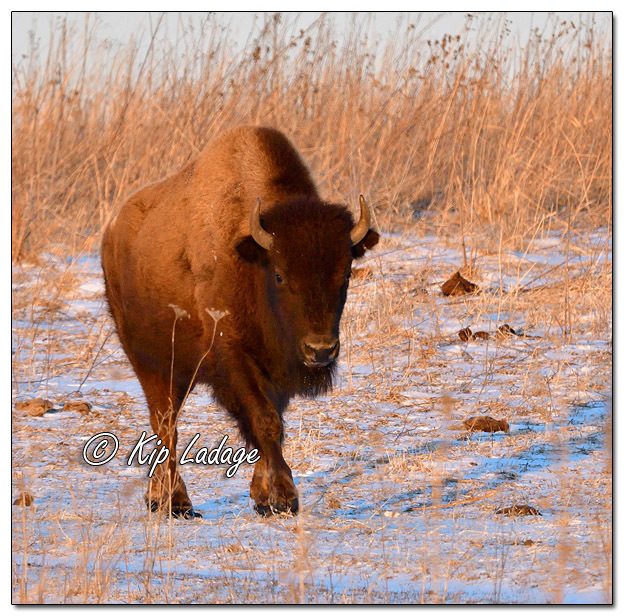 After seeing pictures shared of the short-eared owls at the Neal Smith National Wildlife Refuge this winter, I visited again this weekend. 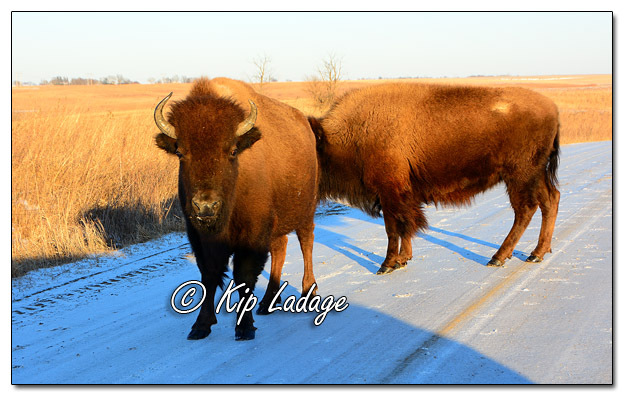 To visit the refuge is a couple of hours of driving and then to find something to photograph in the thousands of acres of prairie is not always assured. 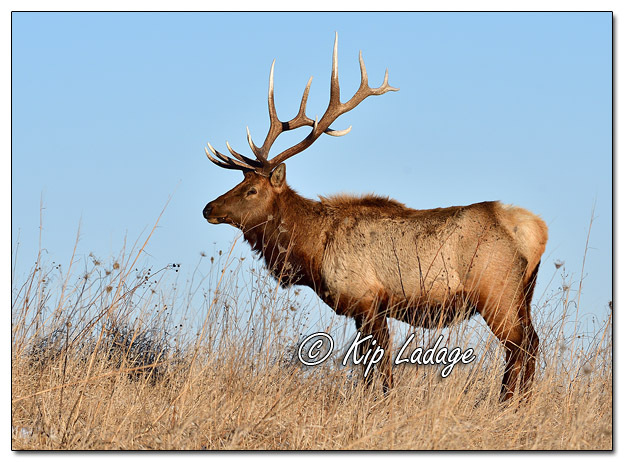 This trip though, was like none other. 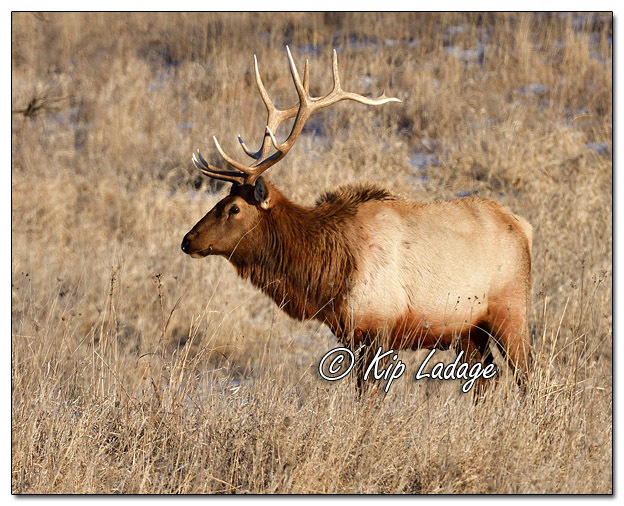 First I found several groups of elk roaming the 5,600-acre prairie. 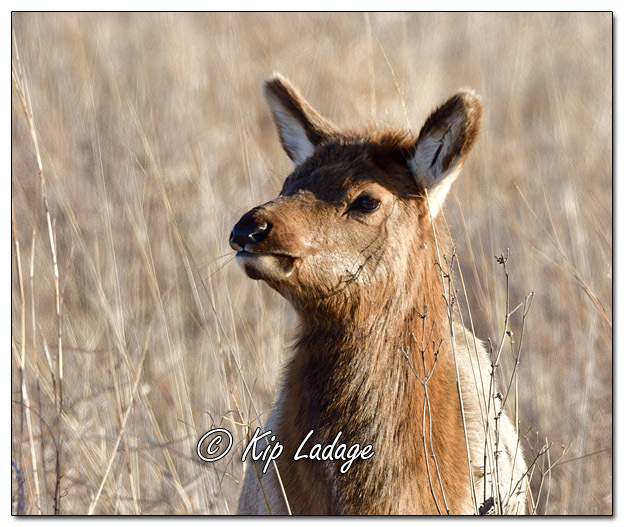 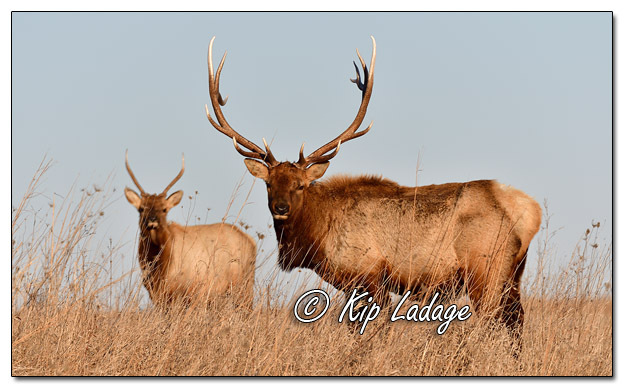 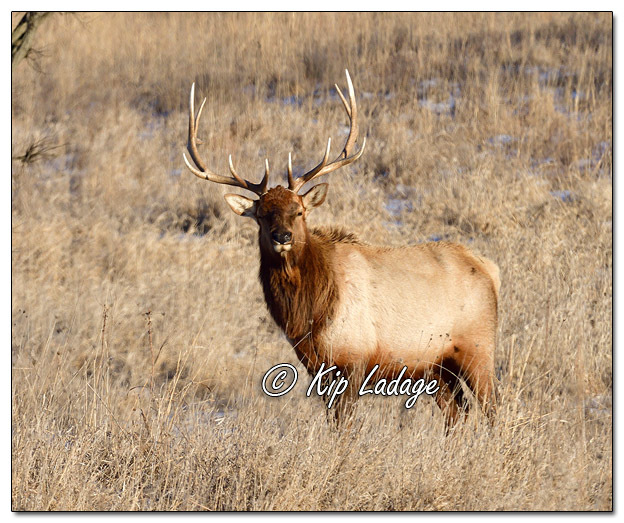 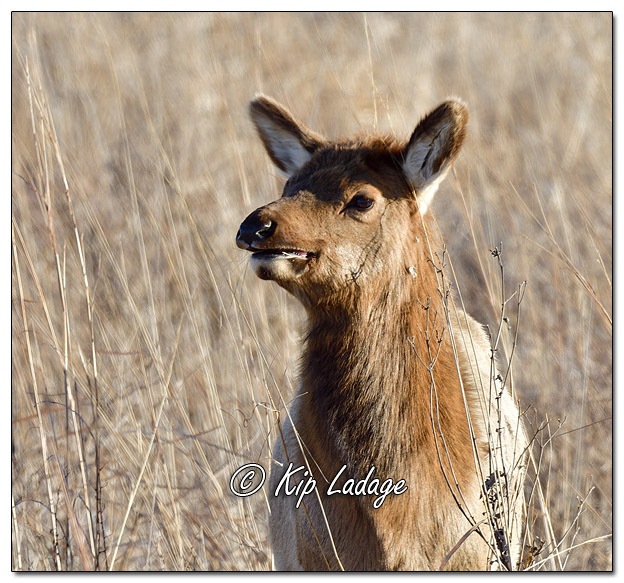 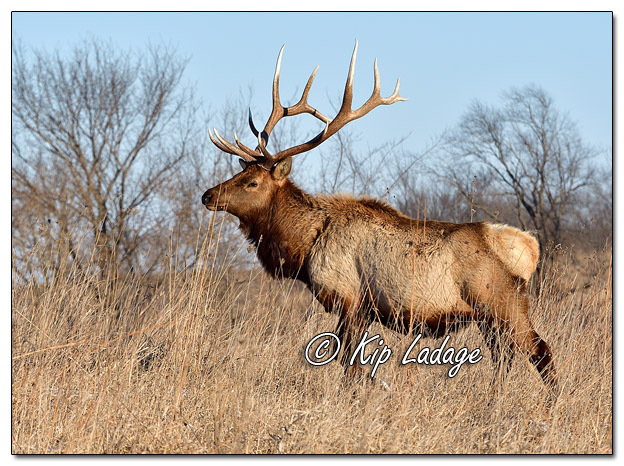 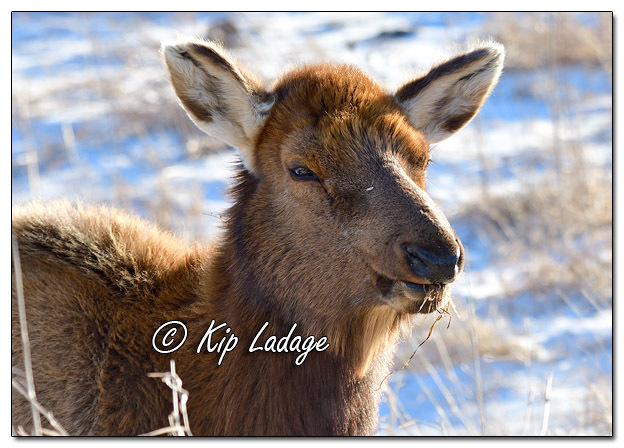 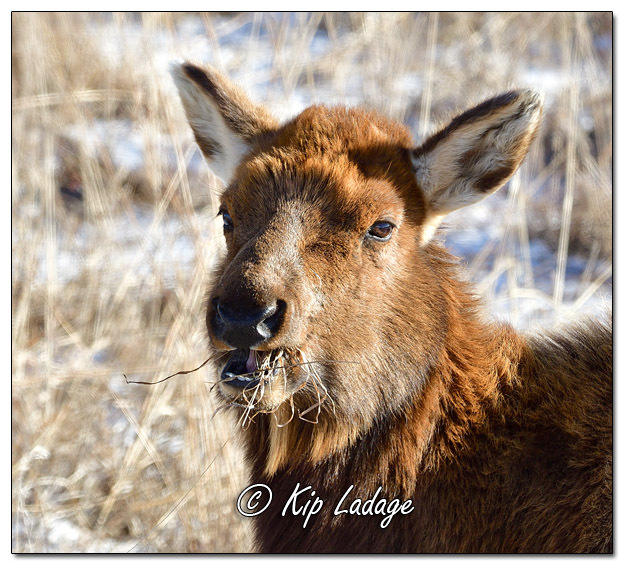 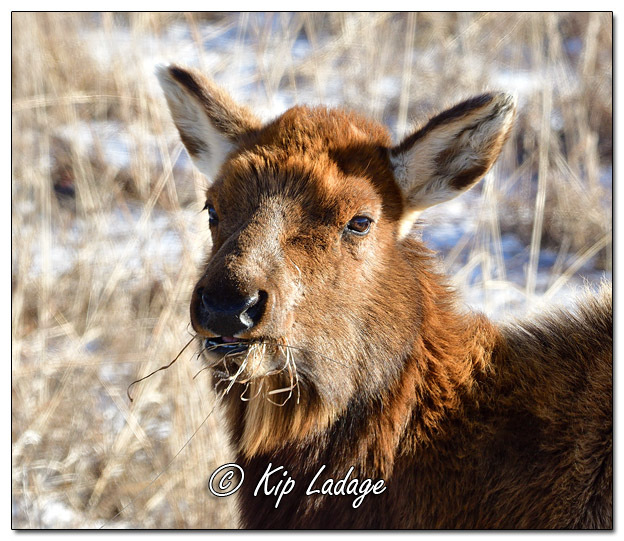 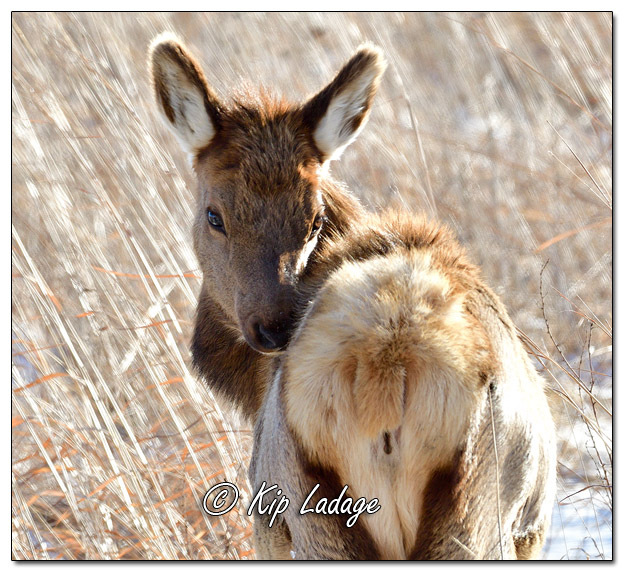 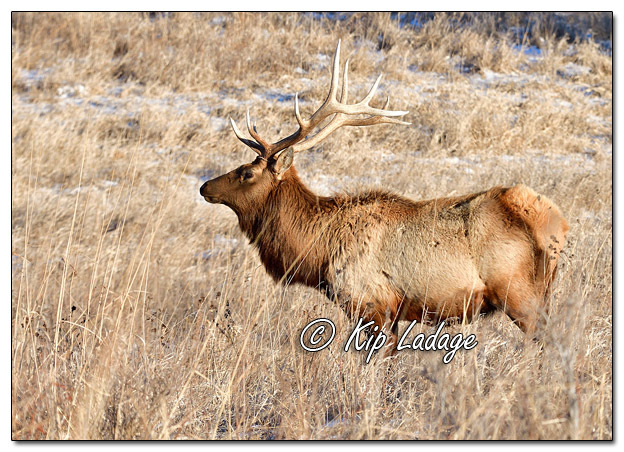 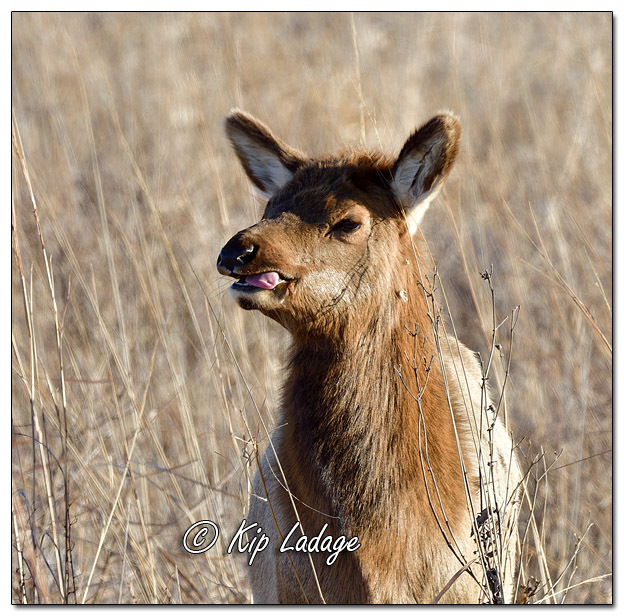 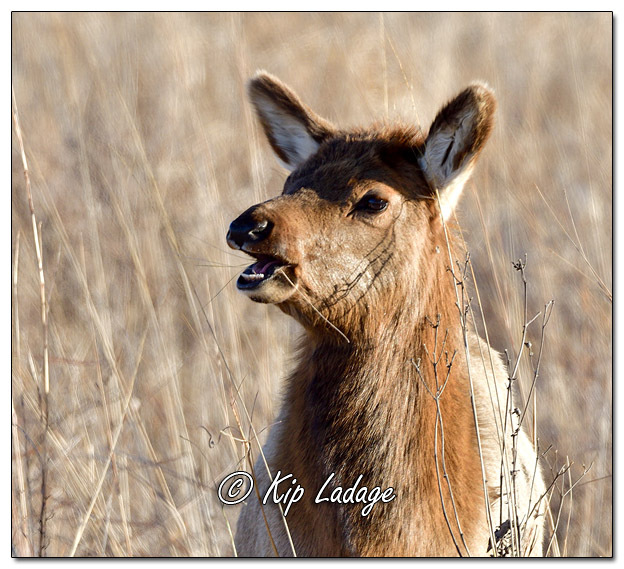 My first photo shoot featured the females (cow) elk. 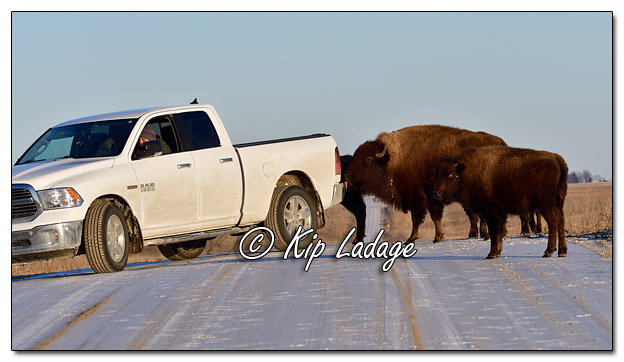 Since they were so close to my truck, I was able to make many photographs. 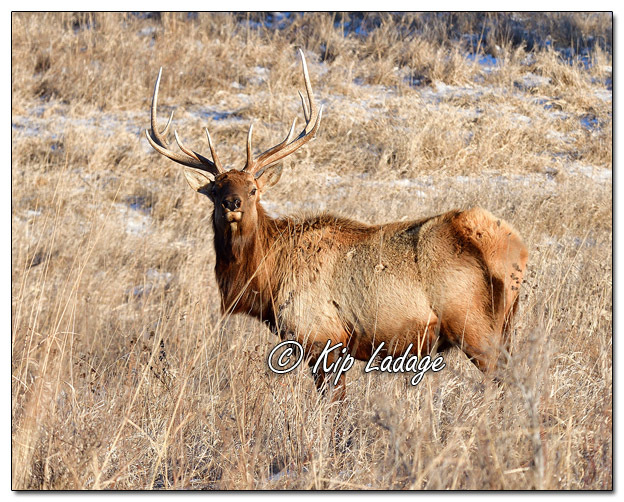 A bit further away I found the bull elk. 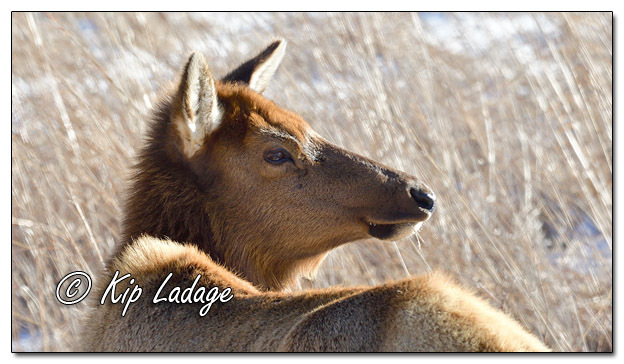 Many more images were recorded of these impressive animals. 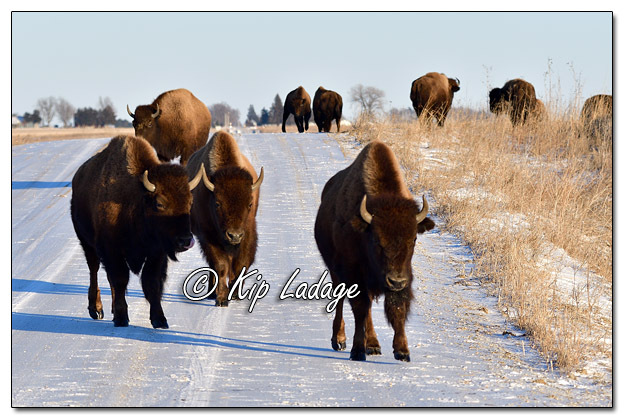 As I progressed through the prairie on the vehicle route, I then came upon a couple dozen American bison near the road. 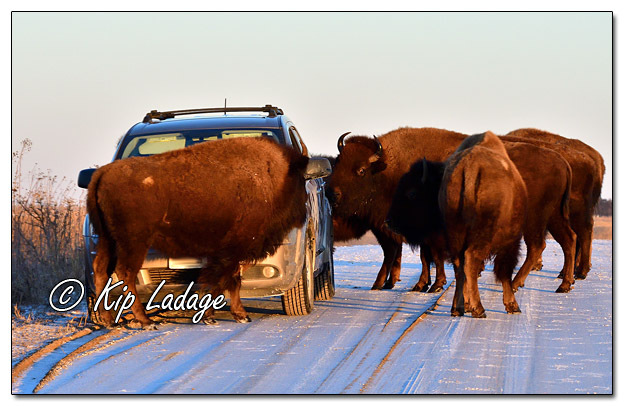 I had read about the large, lumbering animals licking the road salt off of cars and trucks, but was not expecting it to happen to me. 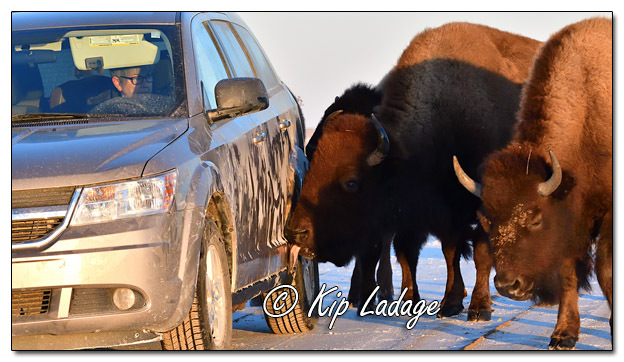 Suddenly I was surrounded by sniffing, snorting, grunting, and licking bison that were cleaning (sort of) my truck with their tongues. 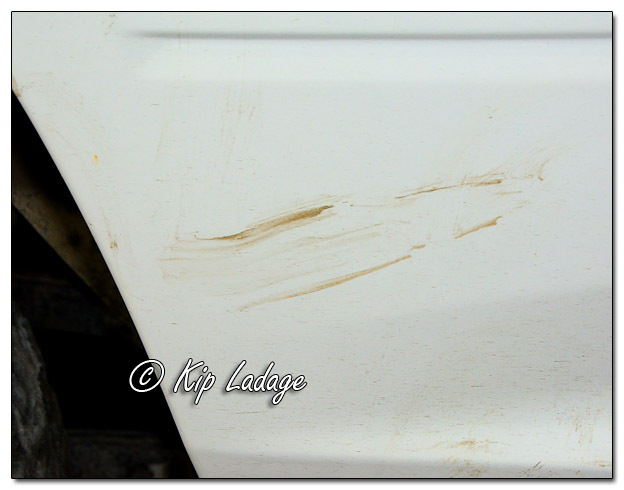 I am hopeful their horns did not scratch the truck. 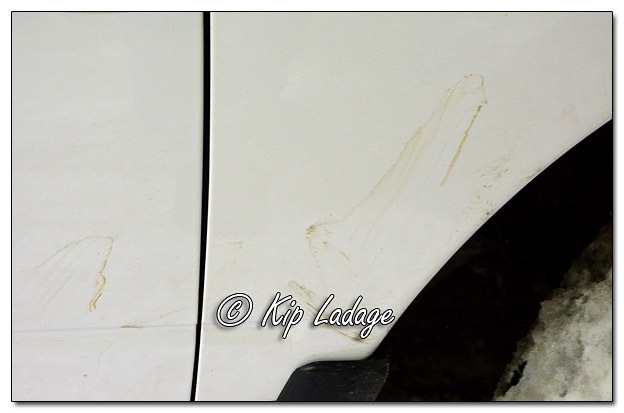 I will not know until it warms up enough that I can really wash the truck and look it over. 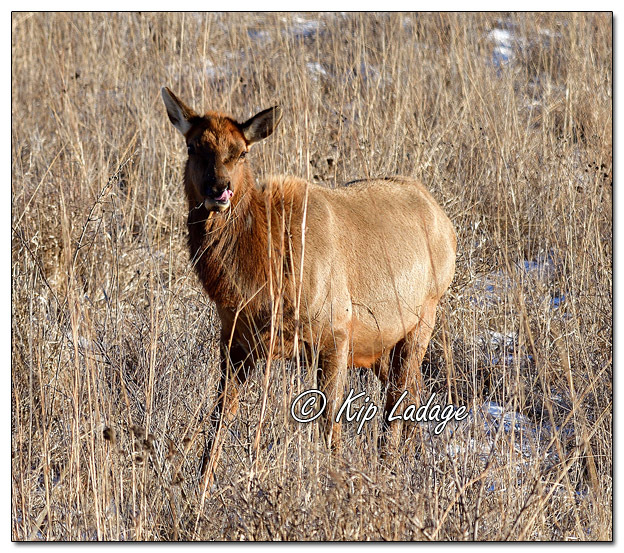 Fortunately I was able to keep our two dogs in the truck quiet to not startle the big animals. 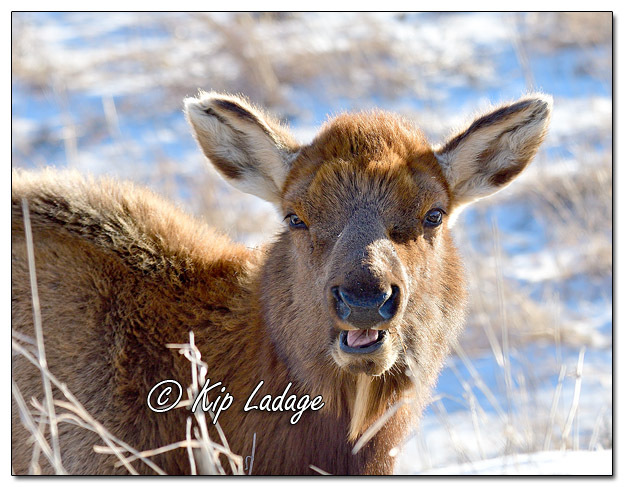 It was quite the experience! 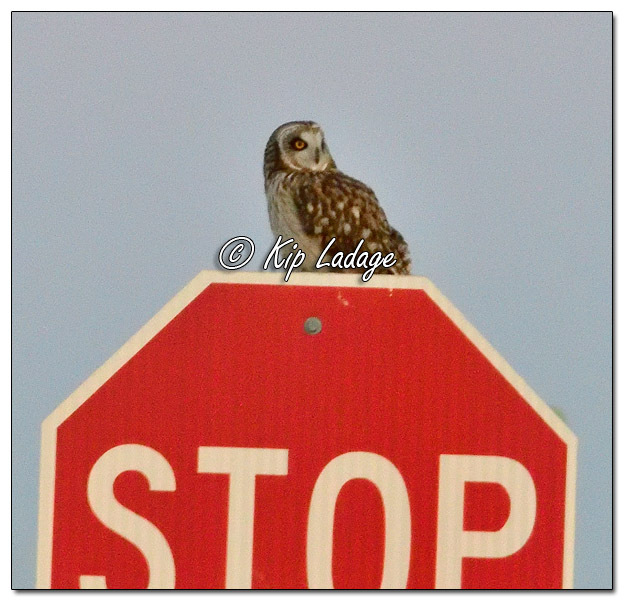 Finally, as I was leaving the refuge in near total darkness, I spotted two of the short-eared owls I was looking for. 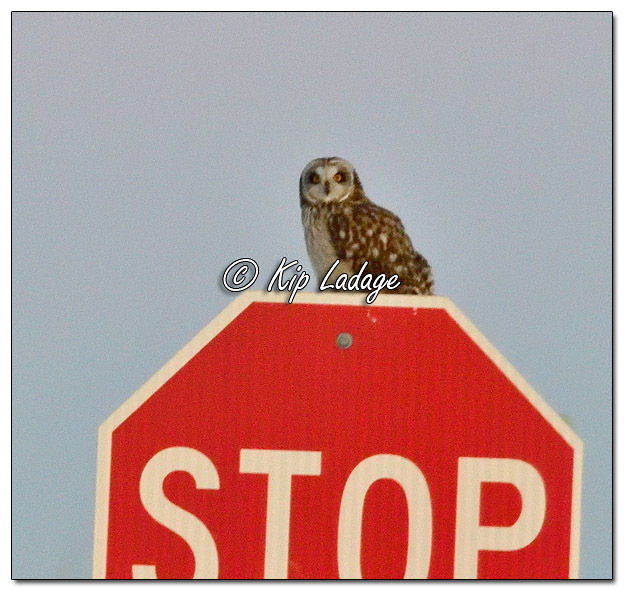 I was able to photograph only one of the owls and the image is not much more than a specimen shot to show I found them.